Junior version of style D706. 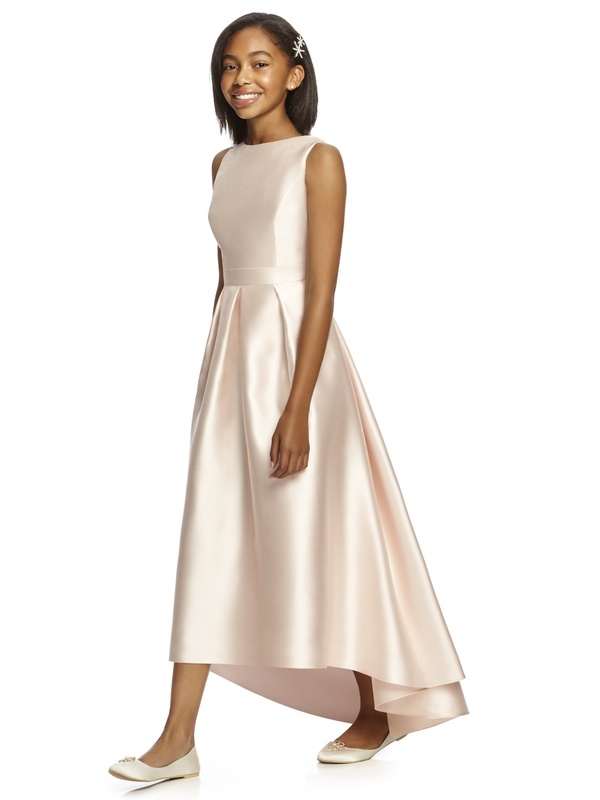 Full length sleeveless sateen twill dress with bateau neckline and hi-low hem detail. Open back. Matching 1.5" self belt at natural waist. Pockets at side seams of pleated skirt. Belt always matches skirt.